Occupational therapy, (OT), focuses on helping clients with a physical, sensory or cognitive disability. An occupational therapist assists children with their ability to function independently by increasing their occupational performance in the home, school and community. Developmental domains an OT may address with a child include, but are not limited to, fine and gross motor skills, handwriting, sensory processing skills, self-care skills, social participation, and visual perception skills. What is the family’s involvement? Families are a vital part of occupational therapy at Janey Macey and Associates. It’s important that parents and caregivers fully understand their child’s treatment plan in order for it to be carried out at home. Families are always welcomed into the session and encouraged to be an active participant during therapy. The family’s involvement ensures continuity of care across all settings. How does OT interact with the other therapies at JMA? One of the advantages of receiving occupational therapy at Janey Macey and Associates is that we also offer speech therapy and behavioral therapy. 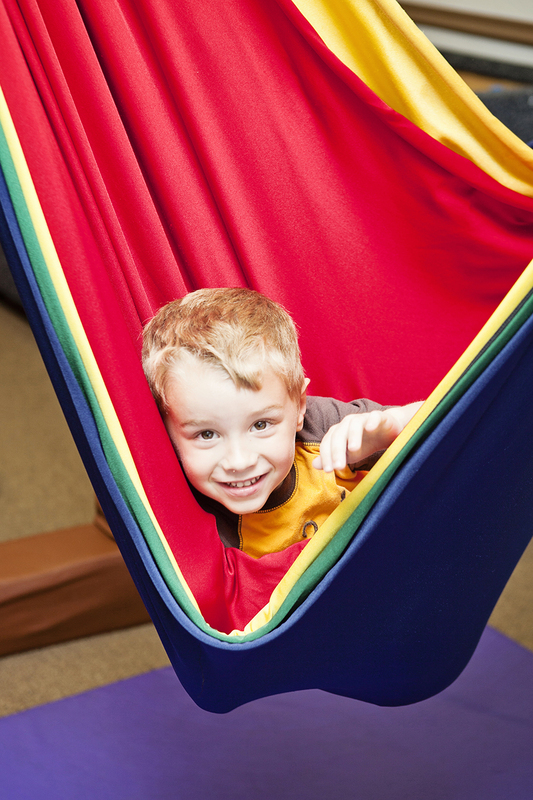 If these therapies are needed, your child will be served by a multi-disciplinary team. We consistently communicate the child’s progress and assist with addressing similar goals. If the need arises, we have the option of co-treating. Difficulty with handwriting – requires increased time to complete assignments when compared to same aged peers; writing is illegible; or spacing of words/letters is inconsistent. Difficulty with attention – often fidgets when sitting; must always be on the move; or is easily distracted by their environment (hears/sees everything going on around them). Poor motor coordination – cannot perform unfamiliar motor activities; appears clumsy; demonstrates difficulty using both sides of the body simultaneously; or frequently avoids motor tasks.